Somewhere near the top of the list of New Orleans’ claims to fame is the largest Mardi Gras celebration in the United States. This famous celebration of Fat Tuesday draws crowds from all over the United States. These eager travelers are ready to celebrate the beginning of the Lenten season with parades, brass and jazz bands, traditional food, and plenty to drink. The first step, however, is getting there. Nearby Louis Armstrong New Orleans International Airport (MSY) provides the perfect amount of New Orleans flare to get travelers excited for Mardi Gras. Here at InMotion, we believe the journey is just as important as the destination, which is why we’re happy to feature MSY in our latest airport guide. From authentic fare to live music, travels through Louis Armstrong New Orleans International Airport are sure to get travels excited for the Mardi Gras celebration ahead of them. Traveling, at times, can feel monotonous. Louis Armstrong New Orleans International Airport looks to change that with live musical performances throughout the airport. 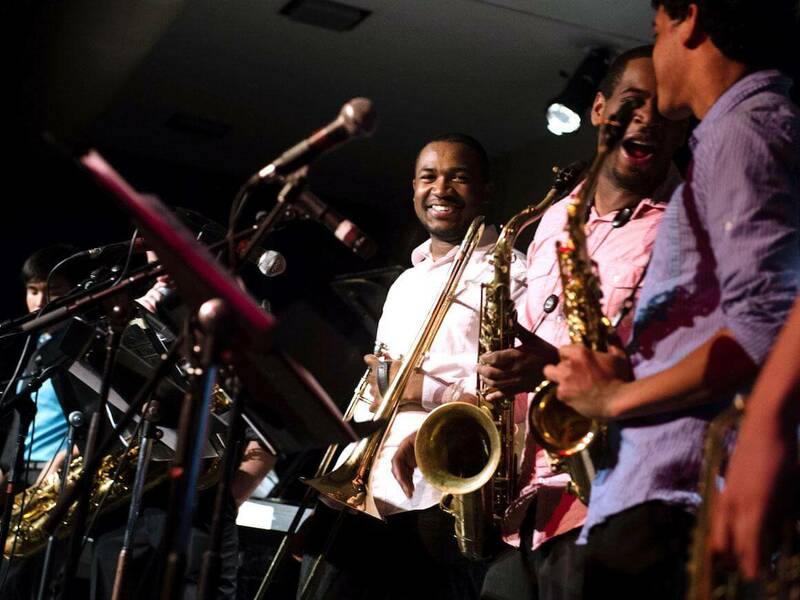 Sponsored by Delaware North Companies and The William Credo Agency, these live performances give musicians the opportunity to showcase their talents while brightening the spirits of travelers with a taste of the New Orleans culture. With the big stage located before security, you don’t even need a boarding pass to enjoy many of the performances. Performances are located within terminals as well, turning the once-monotonous delay into a celebration of its own. With celebrations as big as Mardi Gras - and for the little celebrations in between - you don’t want to miss a moment of the action. Luckily, that was GoPro’s same philosophy when creating their Hero7 Black camera. 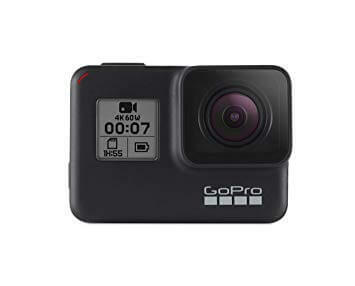 The GoPro Hero7 is the ultimate action camera with 12mp of 4k60 1080p240 video recording capabilities. This hypersmooth video camera is durable and waterproof so you’re never held back from a single adventure. With a touch screen, voice control, and live streaming capabilities, th easy to use GoPro Hero7 is sure to be the easiest way to record the fantastic memories of your Mardi Gras celebration. 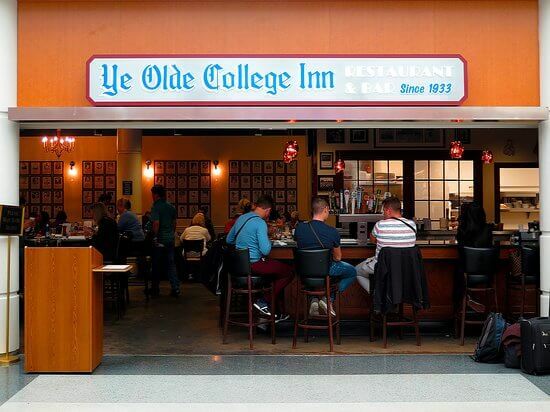 If getting a taste of the New Orleans culture through live music isn’t enough for you, check out Ye Olde College Inn in Terminal D. Ye Olde College Inn serves up authentic fare in a fun, casual setting to travelers waiting for flights or looking to grab a bite before heading off to explore the French Quarter. A menu full of local seafood, gumbo, and po’boys is sure to please travelers looking to get a taste of the region. Wash it down with delicious bloody mary’s, a full wine list, and draft beers. In addition to lunch food, Ye Olde College Inn offers a tasty breakfast, making it the perfect stop for travelers at any time of day. While you’re taking a moment to recharge with some tasty food, allow your device to recharge as well with the Mophie Charge Stream Powerstation Wireless XL. This wireless charging station packs up to 48 hours of charging power into a durable, ergonomic, and lightweight package. Able to charge any Qi-enabled device wirelessly, the Mophie Charge Stream Powerstation Wireless XL is the 10,000 mAh mobile charging port that travelers have been dreaming of. Not Qi-enabled? No problem: the powerstation also had a 10W USB-A port for wired charging. 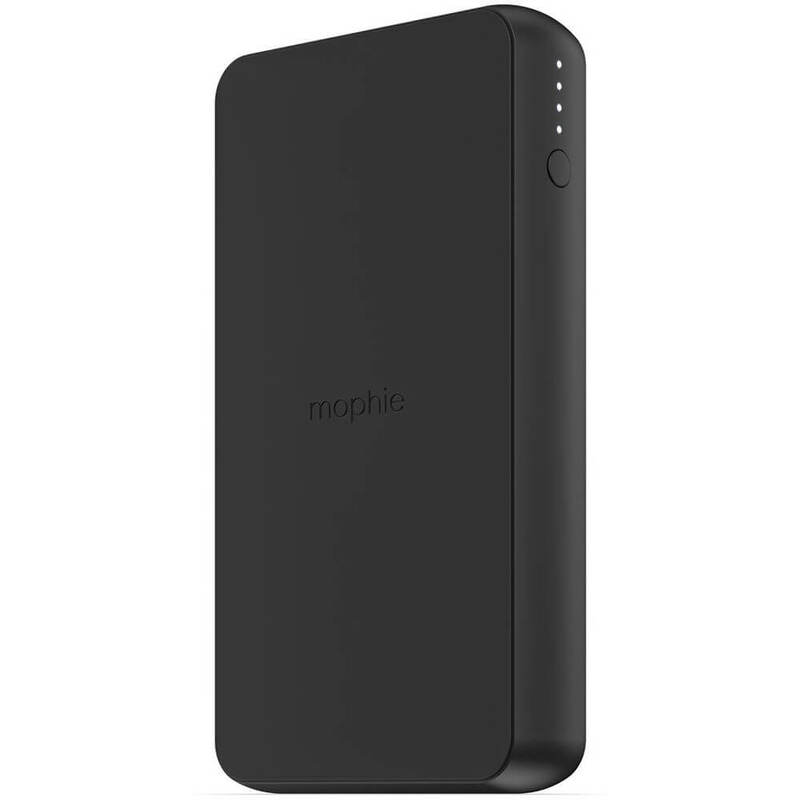 With features like priority charging and the ability to charge two devices at once, the Mophie Charge Stream Powerstation Wireless XL is the perfect device for a Mardi Gras celebration that (we hope) will never end. When traveling for a celebration as epic as Mardi Gras in New Orleans, you want to make sure to dot all your I’s and cross all your T’s. That’s what InMotion is here for, to ensure that you have all your tech needs covered when traveling. From a forgotten phone charger, to quality headphones for your adventure, to everything in between, InMotion is there to make sure you experience every moment of your trip with positivity. 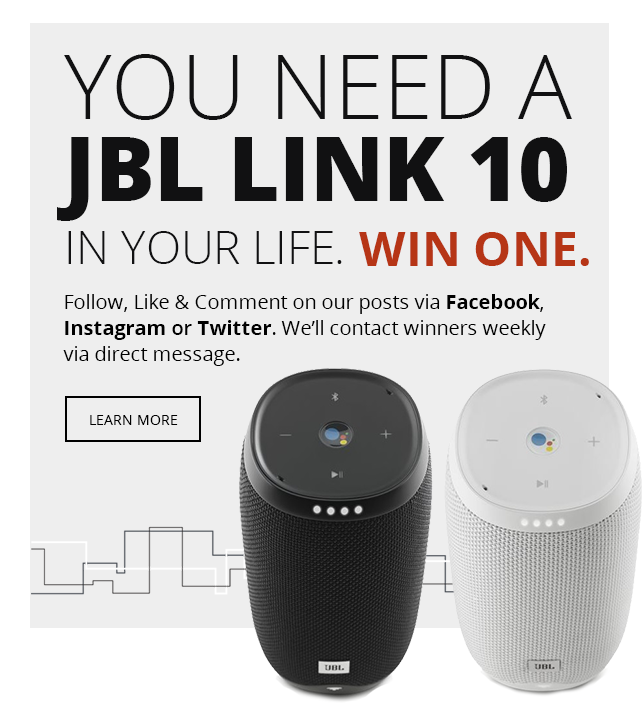 Carrying brands like Apple, Beats by Dre, Bose, Sony, and more, we’re sure you’ll find all the tech you need. 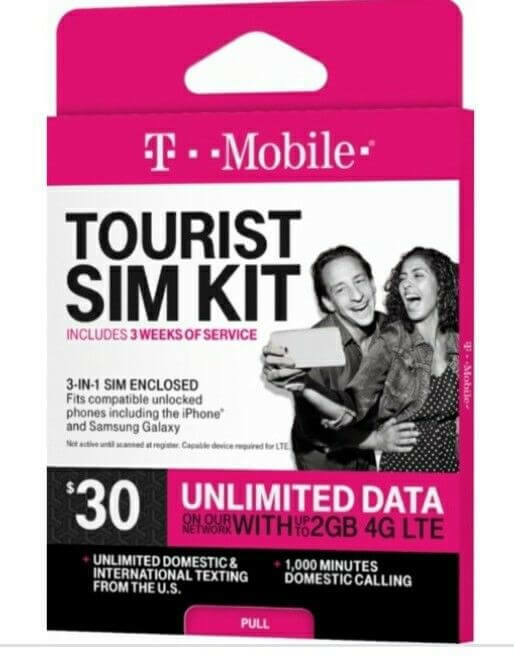 For international travelers coming to Mardi Gras in New Orleans, grab a T-Mobile 3 Week Tourist SIM Card. Stay in contact with loved ones with 1,000 minutes talk, unlimited data and text, and special features like mobile hotspot. Share stories of celebration, your excitement over the delicious jambalaya, or send pictures of the beautiful parade to family with ease with the T-Mobile 3 Week Tourist SIM Card. They’ll love seeing your spectacular adventure almost as much as you do. Can you not wait another second for your Mardi Gras trip to New Orleans? We’re not surprised, especially with all of the perks of flying through Louis Armstrong New Orleans International Airport. 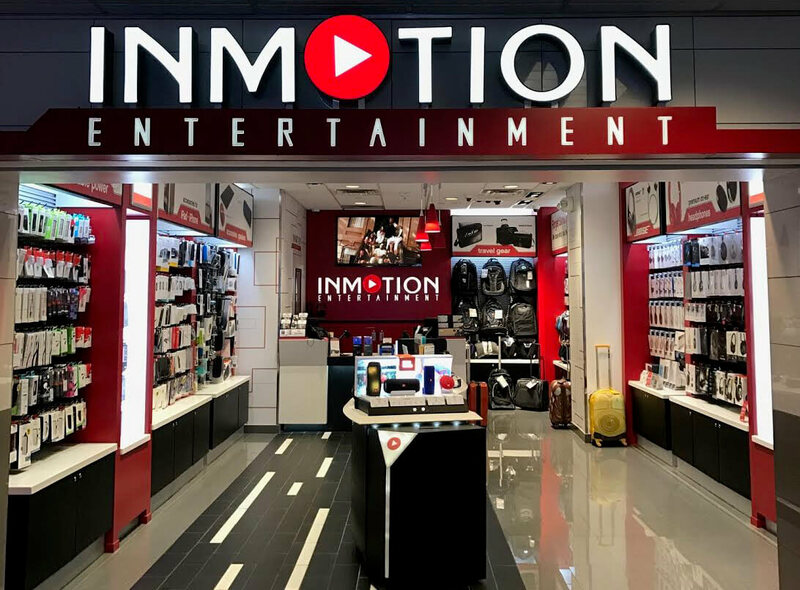 From authentic Creole cuisine, live music to welcome you to town, and fantastic airport shopping at InMotion to cover all your tech needs, you’re guaranteed to have the trip of a lifetime. Stop in at InMotion for to make sure you make the most of your trip with the absolute must-have tech for Mardi Gras.